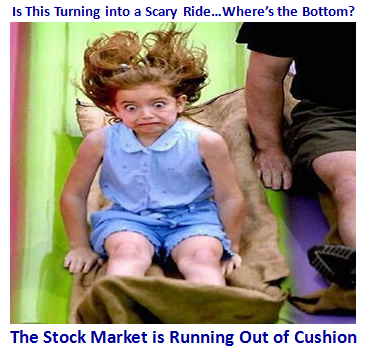 Ian Woodward's Investing Blog » Stock Market: Scary Ride – Targets from Here? 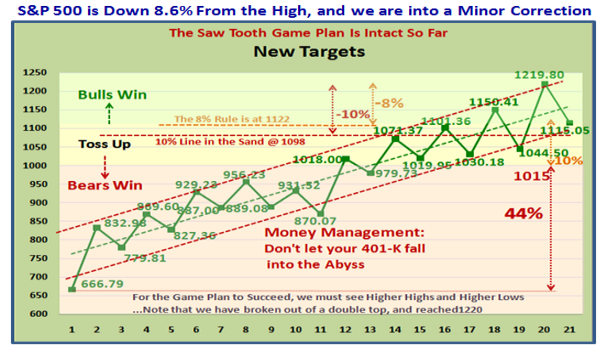 Stock Market: Scary Ride – Targets from Here? I just got back from a little R&R with my Son and his family, so here is an update based on a note I wrote to my friend Keith in New Zealand, which I answered yesterday, but have embellished today for all of you who read my blog. Question: Hi Ian – so whilst High Jump helped identify possible tops, does any HGSI tool predict the likely level of falls in this new downtrend? 4. There is an excellent blog note I wrote on the subject with all sorts of statistics that you can read about if you will take the trouble to scroll down to November 23rd, 2008 labeled “The Worst Market Conditions since 1937, Surpassing 2002”. 5. 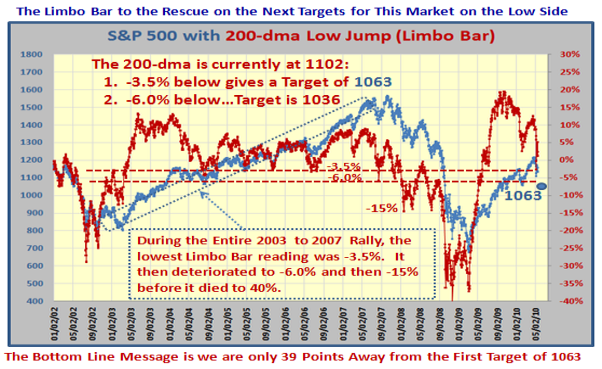 No tool can FORECAST HOW LOW this correction will go…if you find someone who can do it, please let me know. 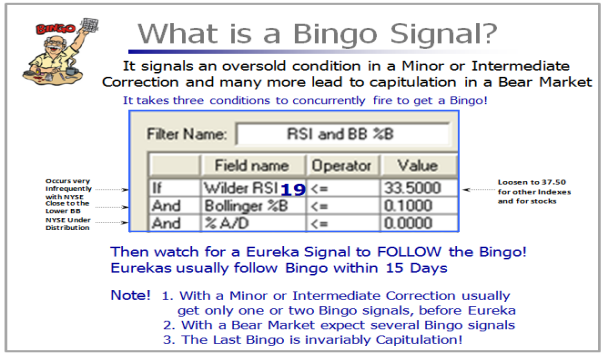 We have two good tools in HGSI which help define the Targets, one is the Limbo Bar and the other is Bingo followed by Eureka(s) to start a fresh rally. 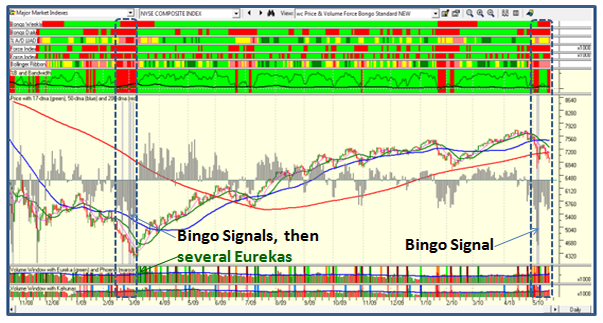 However, what we also look for is a Bingo followed by two Eurekas in quick succession to suggest that a Bottom has been reached. 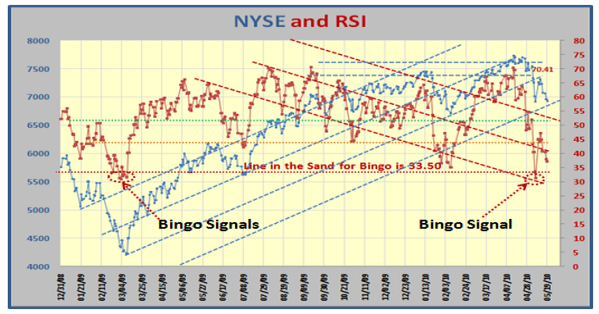 Alternatively, if the market just deteriorates from here, you will see several Bingos (grey bars on the NYSE chart using the wc View). Eventually there will be several Eurekas to suggest the Bulls have finally got control and we start a new Rally upwards. Now that we have a Guideline, either sit out for now, or Short, or sharpen your pencil for New Leaders from those that have not broken too much during this downturn. 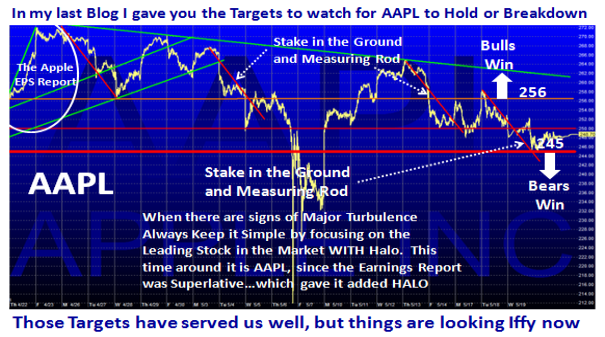 This entry was posted on Wednesday, May 19th, 2010 at 8:38 pm	and is filed under HGS Principles, Market Analysis. You can follow any responses to this entry through the RSS 2.0 feed. Both comments and pings are currently closed.